When a normal shopping mall just isn't enough for your atypical security guard to police, there's only one place he could possibly go, yes folks, Las Vegas has a new high roller and his name is Paul Blart. 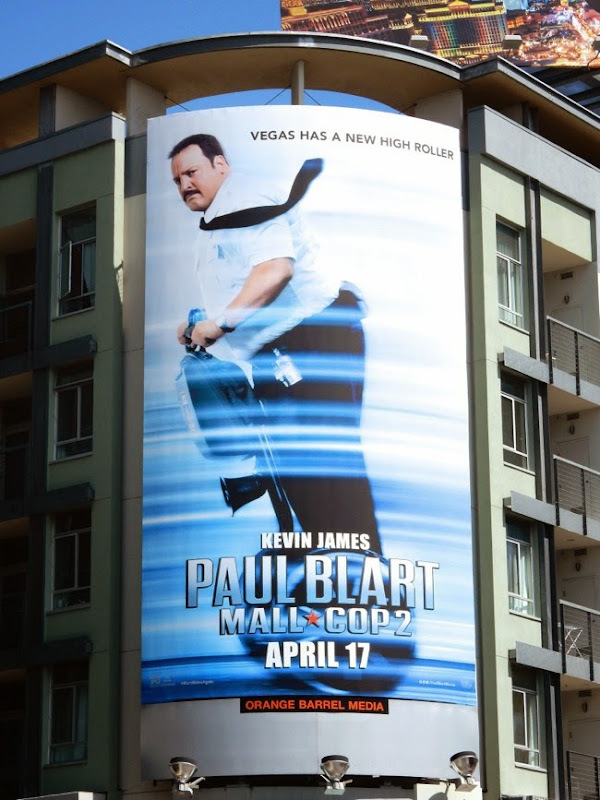 In the sequel to 2009's big screen comedy, Kevin James is back on his segway and heading for a vacation in Paul Blart: Mall Cop 2. 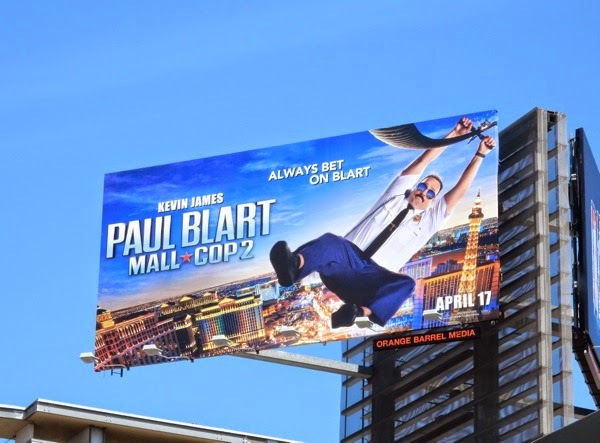 But safety never takes holiday, and in Sin City, where the place is like one big mall full of hotels, casinos and shops that you can never get out of, trouble has a habit of finding our hapless hero and when duty calls he's there to answer the call. 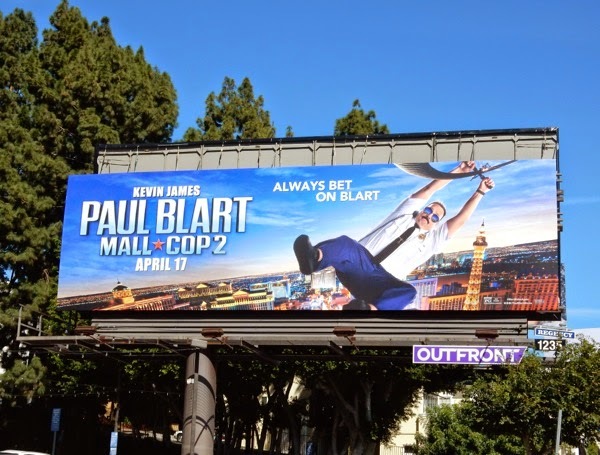 These Mall Cop 2 billboards are a lot of fun, especially the segway creative which has been given cool sci-fi/action movie feel. 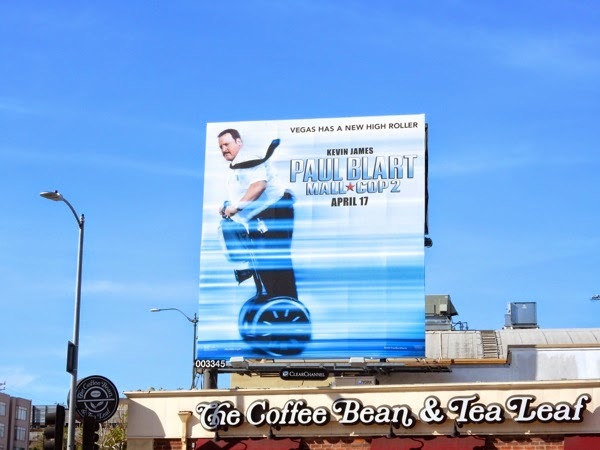 The standard landscape billboard was first spied along West Hollywood's Sunset Strip on March 12, the square segway version was snapped at the intersection of Beverly Glen Boulevard and Santa Monica Boulevard on March 16, whilst the duo of ad creatives was spotted at Sunset & Vine in Hollywood on March 20, 2015. 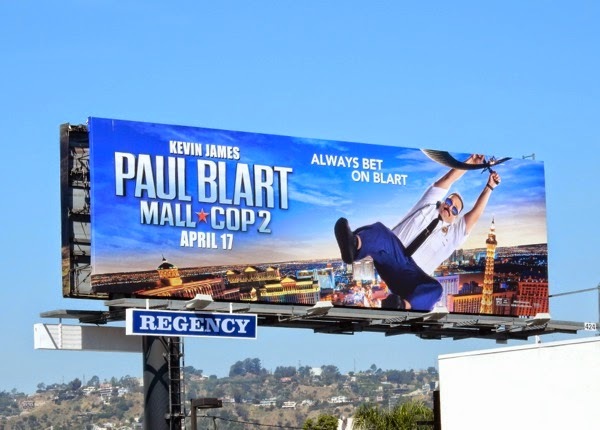 If you're a fan of Kevin James, you can also check him out in these Zookeeper movie billboards from 2011, these Here Comes the Boom movie billboards from 2012 and enjoy these flashbacks to his childhood in the Grown Ups movie billboards. 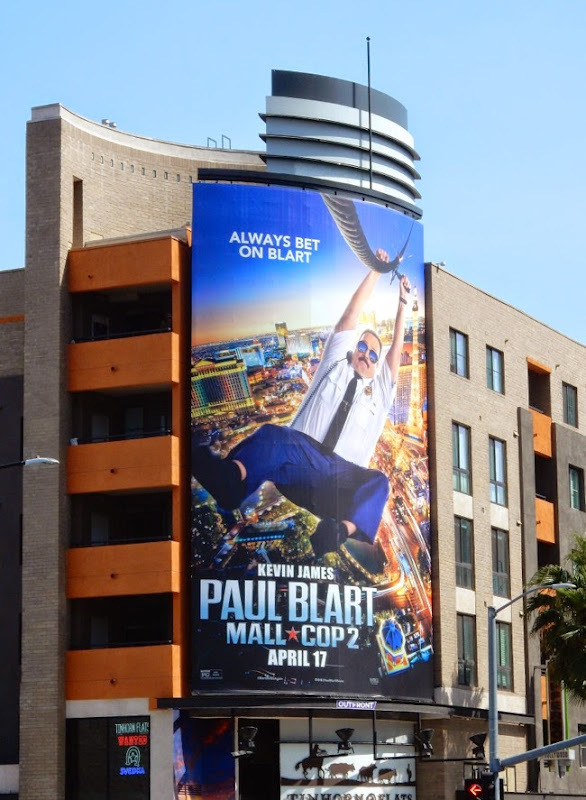 Remember if being a security guard was easy, anyone could do it. 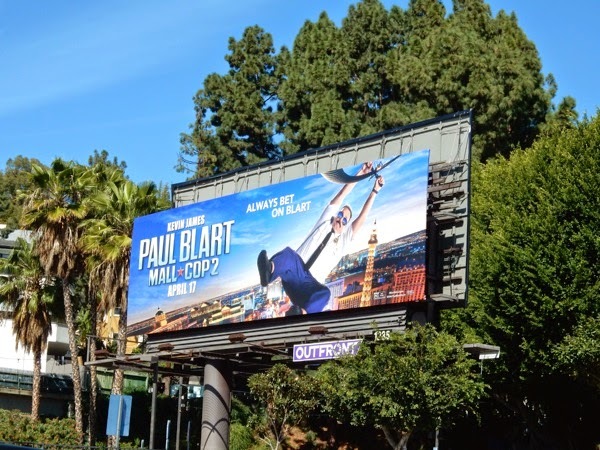 Now mount up and be sure to always bet on Blart. 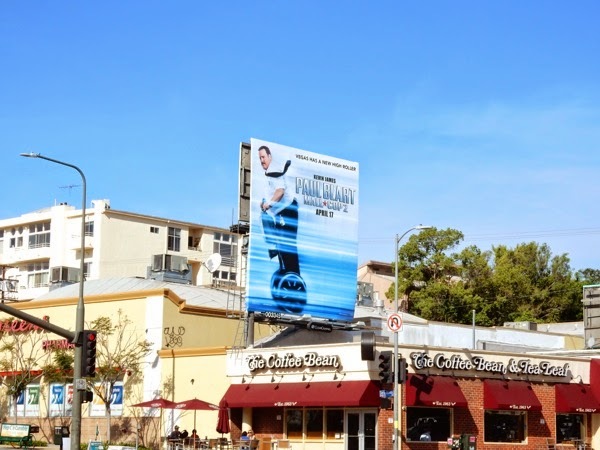 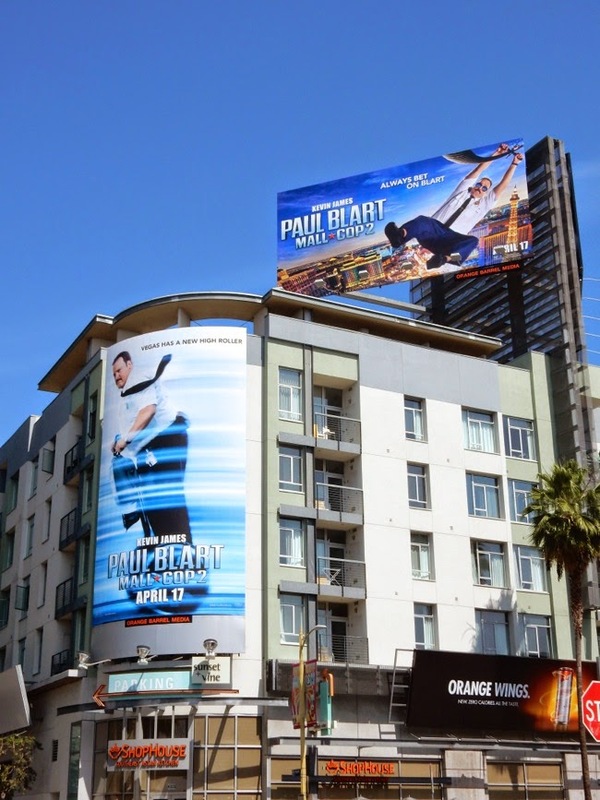 UPDATED: Here's another standard landscape billboard for the movie spotted along Melrose Avenue on March 25, 2015. 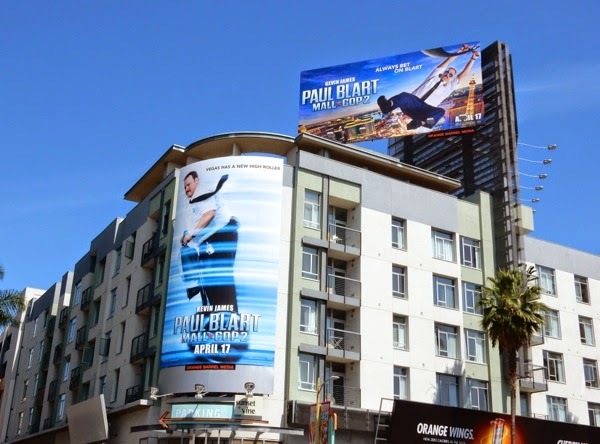 Plus here's the portrait version of this 'Vegas zip-line' creative spied at Hollywood & Highland on April 11, 2015.